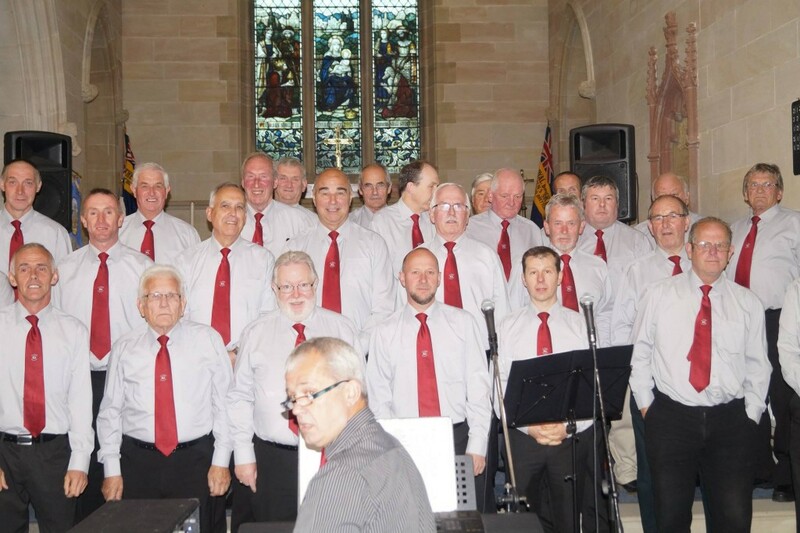 Giving way to popular demand(sic) – the Choir have agreed to record their first DVD during 2016 – details to follow. 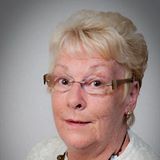 The Choir was delighted to sponsor Llion Davies for a £100 to take part in the 2015 Great North Run; it was Llion’s first attempt at such an event and we are happy to announce that Llion achieved his goal in a creditable time of 2hrs 27min 03 secs for a first timer. He was running to raise funds for that worthy cause – Cancer Research. 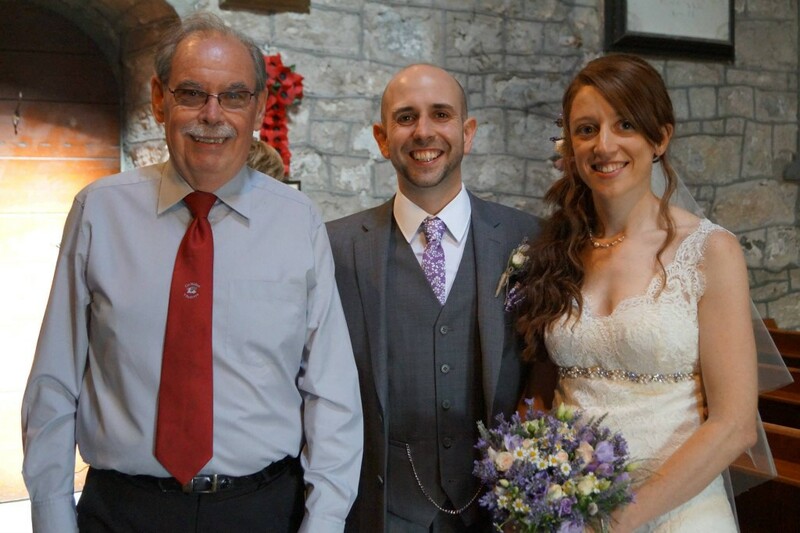 Llion is the son of Choir member Huw and is studying at Bangor University. 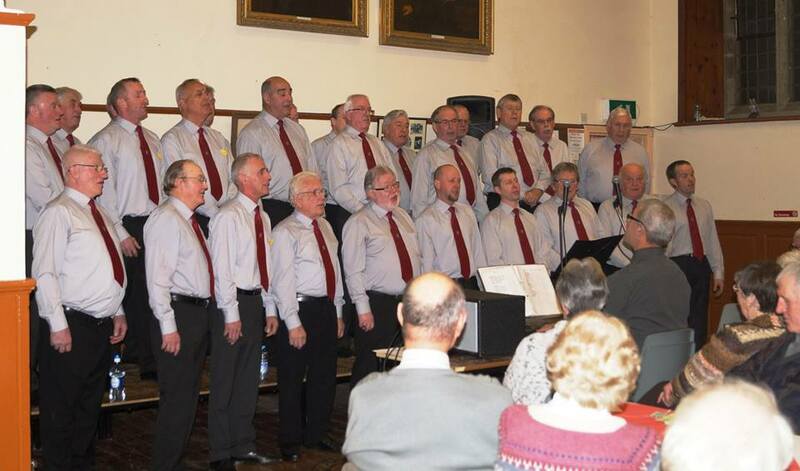 February 27th, 2015 The Choir did a return visit to the Village Hall at St George, Abergele to take part in the St George & District Welfare Committee’s St. David’s Supper. It was a lovely evening with everyone enjoying themselves. We were very grateful to the local committee for their donation of £150 to the choir’s charities fund. March 1st ,2015. 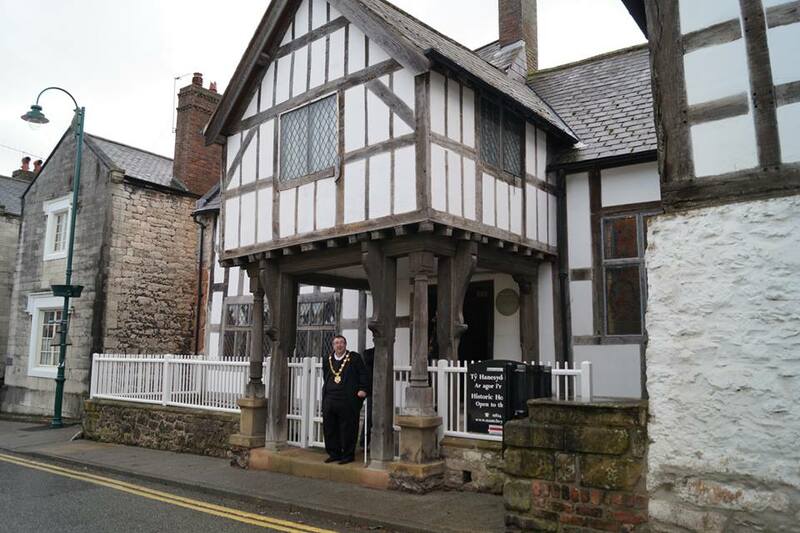 Ruthin Town Mayor – Steve Beech – organised a St David’s Concert at Nantclwyd-y-Dre, Castle Street, Ruthin to raise funds for a variety of Charities. The Choir were joined by the excellent Brynhyfryd School Harpists group in an afternoon concert to celebrate St David’s Day. The choir were grateful to Steve for his donation of £100 to the Choir’s Charities Fund. 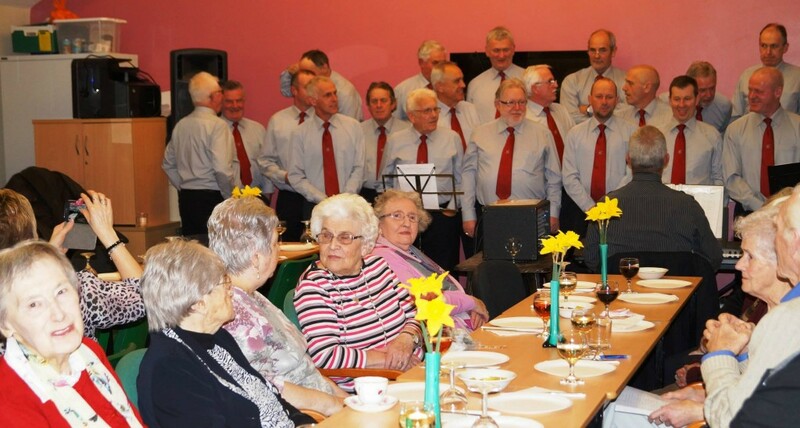 March 26th,2015 – A good proportion of Choir members attended a charity fund raising concert at Trem-y-Foel Ruthin on a Thursday night and they enjoyed a cheese and wine meal with their audience. All our soloists were in excellent form and the choir were delighted, at last, to sing “Calm is the sea” for the first time in Concert. 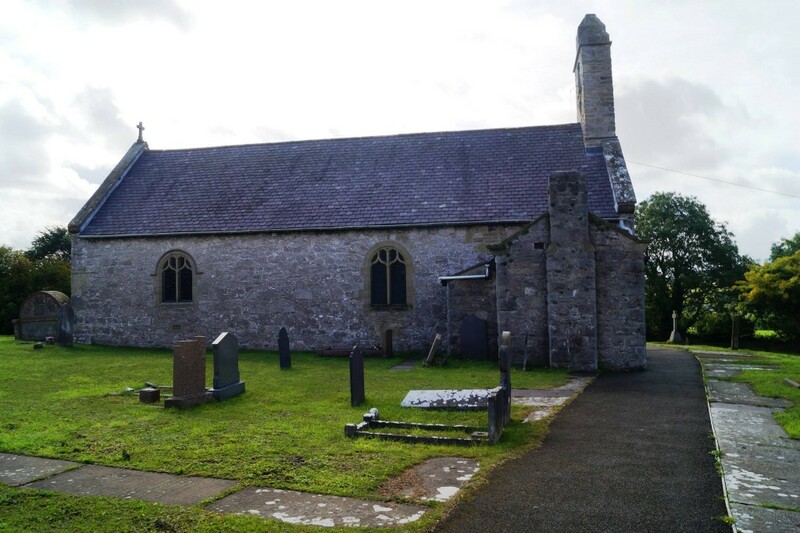 April 17th, 2015 – The Choir was invited to sing in a concert to raise funds for the British Heart Foundation at Ysgol Bryn Coch, Mold. Unfortunately it was cancelled due to the ill-health of the promoter. May 2nd, 2015. Another return visit, this time to the Miners Arms, Maeshafn. 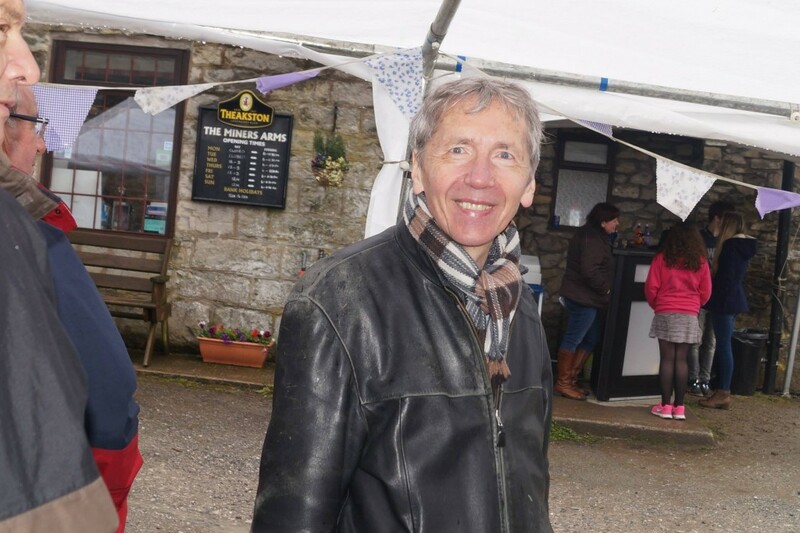 This was held on the May Bank Holiday Saturday in dreadful conditions – the choir sang two sessions in the outdoors and by the time the mini-buses came – one or two of us were ‘worst for wear’. DJ for the afternoon was Dr Jeff Jones of Pant-Blodau who was able to announce that he had completed the London Marathon and he thanked the choir for their donation of £100 towards the Helping Heart Charity of the British Heart Foundation . May 29th, 2015 A good number of the choir attended the concert at the beautifully refurbished Broughton Church, Chester. This was organised by Broughton WI and it was well attended by a very appreciative audience. The Robbie Williams’ song Angels had its debut and Bov said that we were’nt too bad – the choir takes that as praise indeed. 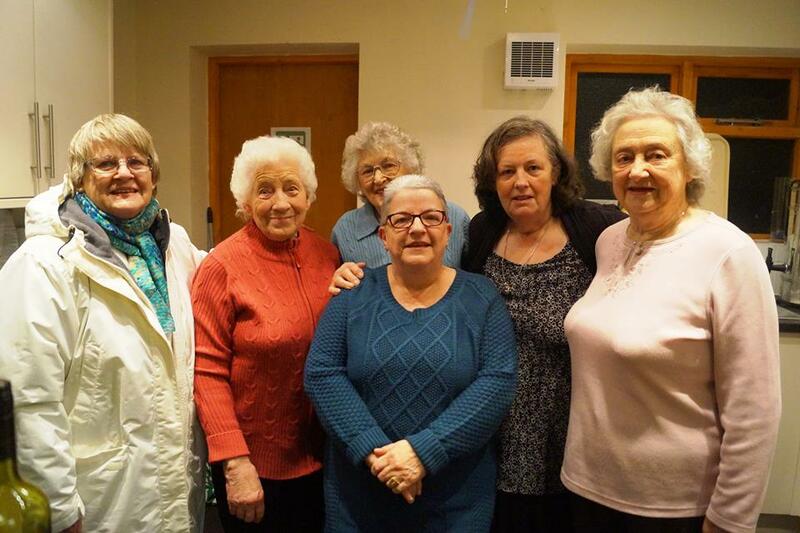 The choir are grateful for the substantial donation towards our funds made by the WI. June 12th, 2015 – Wynn and Hefina are holding a Shindig at the Drovers with Bov on the Organ. All choir members and groupies welcome. 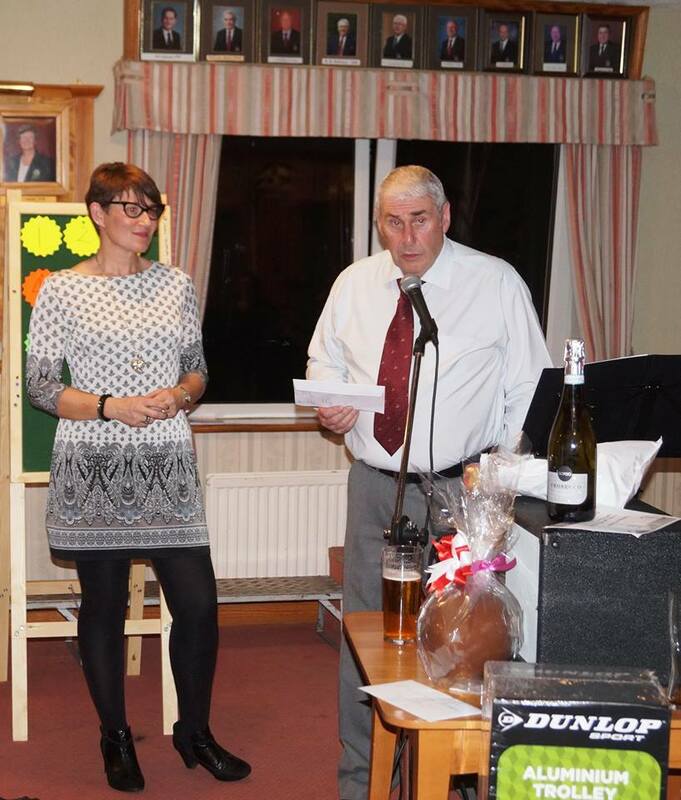 A very enjoyable evening was held at the Golf club with proceeds going to the Ty Gobaith charity – Mrs Luned Yaxley, from Ty Gobaith, was there to accept a cheque from Mr Mike Jones representing the Club who had raised a substantial amount of money during the year for this worthy charity. A proud man that evening was Gareth Roberts – a member of the choir and Luned’s father; another proud member of the choir, enjoying Luned’s excellent address that evening, was John Kerfoot Jones who was Luned’s headmaster during her time at Ysgol Clocaenog. 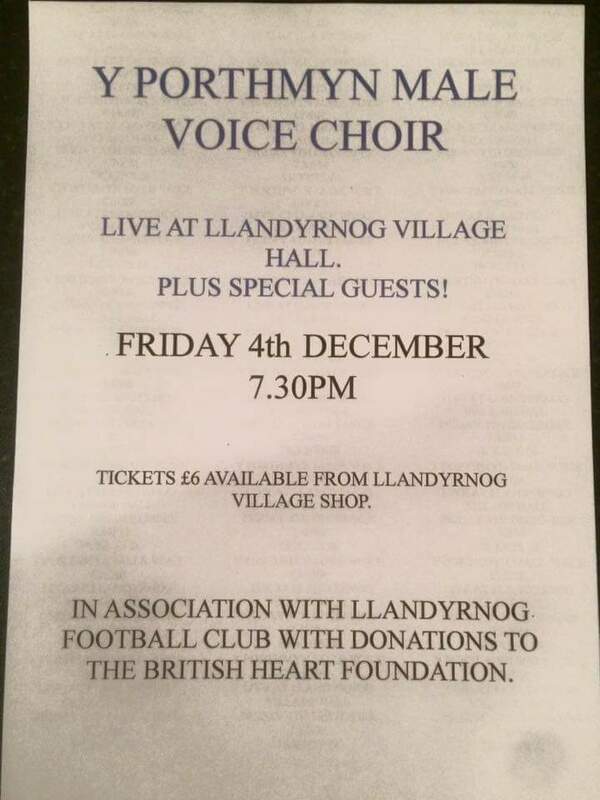 December 4th, 2015 Village Hall Llandyrnog – A concert was held in memory of that local stalwart – Mr Peter Wilson.